These washable incontinence pants are particularly suitable for mild urine loss. The inside is provided with an extra absorbent and breathable layer to keep the skin dry. The pants have an absorption capacity of about 300 ml., Are comfortable and provide the right protection. Suitable for the dryer and washing machine 60 °C. 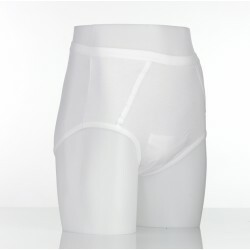 These washable incontinence pants are particularly suitable for mild urine loss.The inside is provid.. 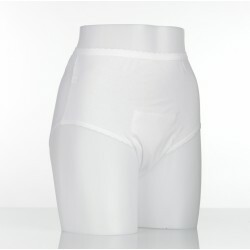 These incontinence pants have an insert for removable incontinence material.To be used in combinatio..